Having my kids home for summer break has its pro's and cons. I do like having all this extra time I get with them and I enjoy that life slows down a little. Sometimes I just love to stand back and watch them when they are all playing together and getting along so well. It is these moments that make me so happy and remind me how much I love being a mom. I also love that we can make fun plans on the fly because we are not on a strict schedule. However there is also a lot more sibling fights and I always having a messy house. I haven't gotten a lot of projects done lately so I was excited to do my nails and it got me way excited for the upcoming holiday. One of our favorites! I am completely addicted to these nail plates! Those are SO cute! You always have the cutest nail designs without being over the top. So fun. Happy holiday!!! Oh wow, I love this nails. So pretty. So cute! I wish I could wear nail polish but it's a big no-no for work. Boo! How fun! I will have to look for that type of kit! I love how clean and festive that looks! :) Happy summer...where moms have messy homes, bickering kids, and no me time :-) I'm right there w ya! I can't believe you did your nails yourself ... I would be a mess! Would you stop by and share these at my patriotic link party?! wow, so cute! i'd love for you to come link this post or anything else you want up to my weekend link party http://www.lovenotesbylauryn.blogspot.com/2012/06/spread-love-link-party-14.html have a great weekend! Your nails turned out sooooo cute! Great job! Thanks for linking up! Love your nails!!! So pretty! I have similar nail plates. They're fun! I've never heard of nail plates... but your nails came out awesome!! I haven't tried using nail plates but you've got me on the search for some now! Your nails are super cute! New follower & thanks for following me! Happy 4th of July to you! Cute cute fingernails - visiting from Positively Splendid! The star nail is my favourite. I need to get me some of those nail plate. Love your nails! Super cute! Have a great 4th! I love these! I thought you did this free handed and I was about to be super impressed. I have never tried any kind of nail art but I need to. This is too cute. cute! Is it bad that I have no idea what "nail plates" are? 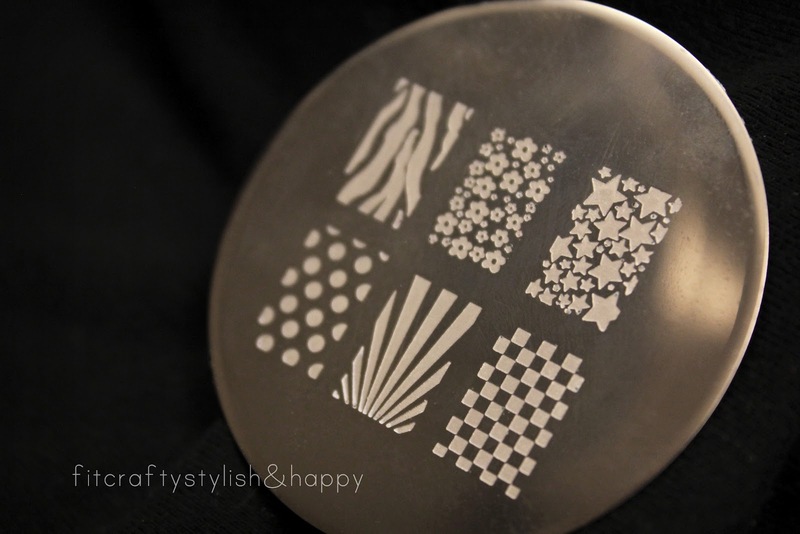 Nail plates have images that can be stamped onto your nails with regular nail polish. you can Google search them and purchase them on amazon :) They are awesome! So pretty! It reminds me of when I used to have fun painting my nails. It's been a while and I think I should do something about it. Thanks for the inspiration! Haha, disregard that last part...I forgot I was already following you and you are already following me! I need to go to bed...lol. love your blog! 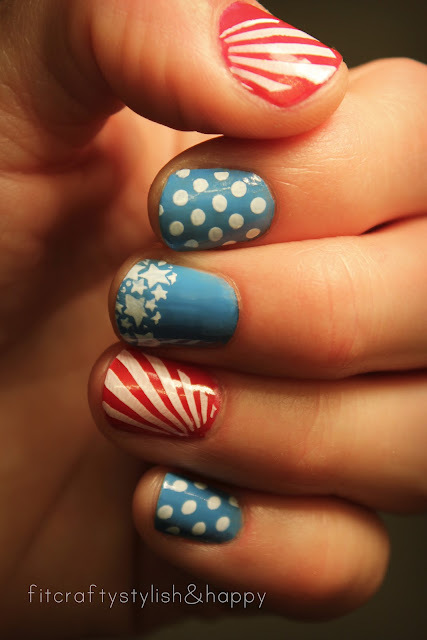 and love this nail art! I love your nails. I'm a new follower from the gfc blog hop. I host a weekly link party on Wednesdays and I'd love for you to join in some time. NO WAY!! i really did not think those things would work! Wow, i am impressed! Thanks for sharing this my daughter and i will have a blast! Great design! I'd take forever trying to get my nails looking this festive. Following you from the gfc hop. Have a great day, and enjoy your kiddos, Cassidy. I love your nails, they are really cool. I am a new follower from the GFC blog hop. I love your blog already. I love this mani! I wish I was talented enough to do this myself!! Um - do you want to come do my nails!?! These are awesome!! Where did you get the nail plate at? Newest follower from the hop!! You can purchase a variety of different images on Amazon. 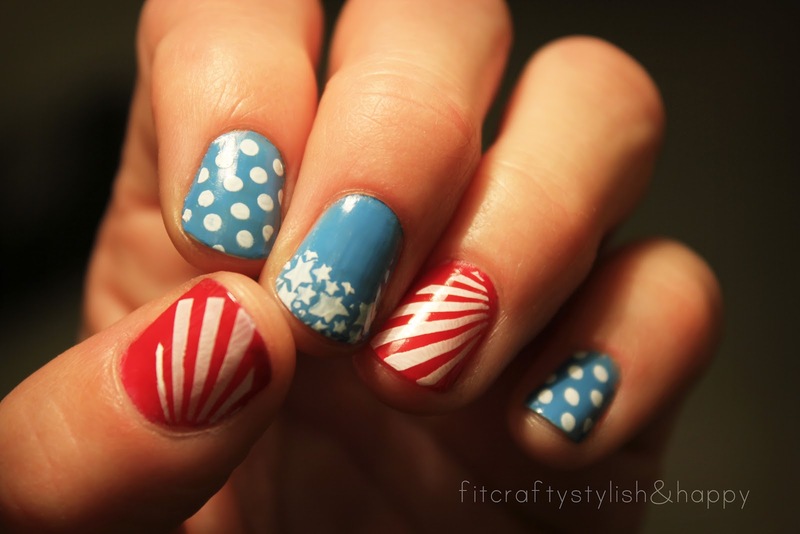 Really cute nails! New follower from the blog hop! Love that you provide workout tips and exercises! Have fun with your kids this holiday! Thanks for stopping by my blog and all of your kind words! I'm seriously in love with this manicure! I've never used nail plates/ stamping but everyone seems to do the coolest things with them so now I'm going to have to try them out too! Oh these are so fun and cute! Adorable!!!! Love them, and love how you only stamped the tips! Visiting from Mani Monday, glad I found your blog! These are fabulous!! have to find one of those plates! Thank you for sharing at Uncommon! My daughter has these and LOVES them!! They are so fun! !